The international community hailed the election of Michel Sleiman as Lebanon's new president as a crucial first step in reuniting the divided nation. US President George W. Bush said he looked forward to "an era of political reconciliation" in Lebanon, which has been wracked by a political crisis that threatened to blow up into all-out civil war earlier this month. "I am confident that Lebanon has chosen a leader committed to protecting its sovereignty, extending the government's authority over all of Lebanon, and upholding Lebanon's international obligations under UN Security Council Resolutions," Bush said. 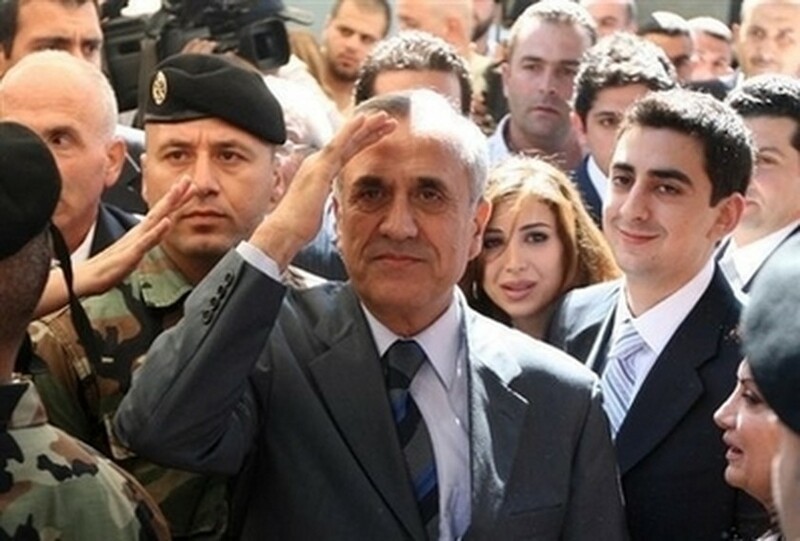 Sleiman, Lebanon's army chief for the past 10 years, was sworn in Sunday after a parliamentary vote that many hope will turn the page on the 18-month political feud. The vote was held just days after the Western-backed government and the Hezbollah-led opposition agreed a deal after talks in Doha to elect Sleiman and create a national unity government. UN chief Ban Ki-moon said he hoped the "historic" vote would lead to the "revitalization of all of Lebanon's constitutional institutions and a return to political dialogue." He called on all Lebanese parties to press ahead together in consolidating the sovereignty, stability and political independence of the Lebanese state. State television in Syria, Lebanon's former power broker which backs the opposition, said Sleiman takes office "with the green light of all Lebanese and enormous Arab and international support." "Lebanon is in its rightful place -- a united Arab Lebanon, capable of overcoming deadlock. A resistant Lebanon has elected a new president," said the presenter of state television news. It said Syrian President Bashar Al-Assad had telephoned Sleiman to congratulate him and had promised that Syrian was "at Lebanon's side." The European Union's Slovenian presidency congratulated all parties involved "for the first step" towards ending the political deadlock, saying Sleiman's election "paves the way for the full resumption and functioning of the democratic institutions." In a statement, it also "reaffirms its support for Lebanon's sovereignty, independence, territorial integrity, unity and stability." Qatari Emir Sheikh Hamad bin Khalifa Al-Thani hailed the accord that was signed in his country after six days of crisis talks brokered by Arab leaders. "We know that there is a rule in Lebanese politics that considers that there is no victor and no vanquished in the political feuds," he said. But this time, he added, the winner had been Lebanon. Jordan's King Abdullah II said the vote was a "positive step for the people of Lebanon and for national unity," according to a statement from the royal palace. "Jordan stands alongside the Lebanese in their desire and their efforts to preserve their independence and their stability," he said. Morocco's King Mohammed VI congratulated Sleiman in a message. "Thanks to your wisdom, your skills and human qualities, you are going to achieve the aspirations of the brotherly people of Lebanon in strengthening national unity," he said.